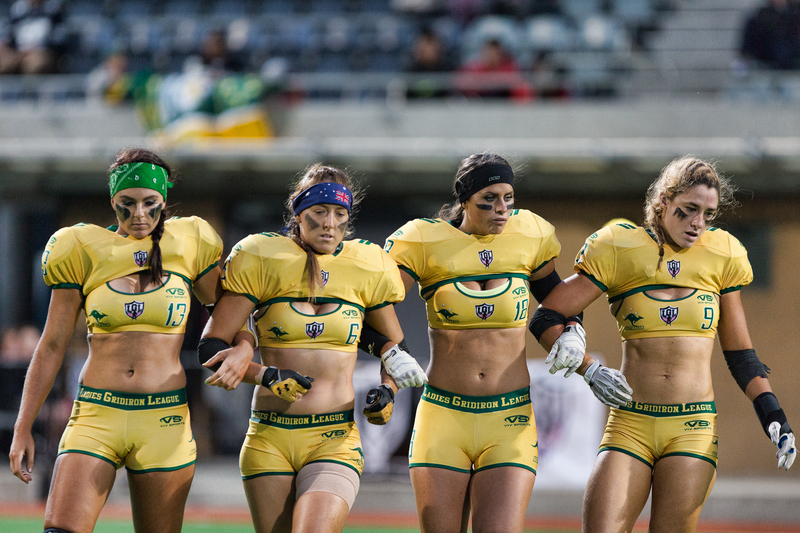 The hard hitting women of lingerie football are back in Melbourne! Australian owned Ladies Gridiron League (LGL) held its first ever Women’s Gridiron Tri-Nation Series last 5th of December 2014 at the State Netball & Hockey Centre in Melbourne. This tournament featured the best talents from Australia, New Zealand and United States going head to head in a premiership format, where the teams played each other once and with a finals game played by the winning teams. That was four games in one night! The Australian team was made up of players who will form part of the LGL’s soon to be announced inaugural season and selected from the franchises who have been training for more than 2 years now. Players from the United States and Canada travelled to Australia and makes up the American team with the inclusions of some Australian based American talents. The New Zealand team featured many stars that played in the inaugural Legends Football League (LFL) season and now have transitioned over to the LGL. After a long fought battle, the Kiwis emerged as the Champion of this tournament with a score of 24 – 14 over their United States counterparts! Previous articleThe art of predicting the market?